What follows are the words I wrote in 2012 and posted again last year on 7 December. I post them once more because I don't think I can say what I feel about this day any better. The sound bite catch phrase is "freedom is not free". Freedom and liberty mean so much more to me than a sentiment that fits on a bumper sticker. True acts of patriotism come from what we do with our freedom to choose and our liberty to act. I believe that honor is found in the act of service and not only in the type of service. Duty, honor, and country are important words to me that evoke a sense of national identity and dedication to the ideal that we all have an obligation to remember our history and those who came before us. Their actions in the face of overwhelming adversity should be recalled and commemorated so that we can learn from them. We do not live in a vacuum of now, where what happens in the next five minutes is distinct from all that has happened before. We are our history. Our respect and understanding of it impacts our choices, which in turn affects the legacy we leave behind when we become part of the history of the generation that follows. I don't live each moment of my life wondering how I'll be remembered. But as I learn and grow throughout my life, as I make decisions and choices, as I act and relate with others around me, I create my legacy and impact the legacy of those around me. I won't be remembered as someone who impacted the world with any kind of significance. I'm OK with that. But it doesn't mean that I will consciously live insignificantly in this world. 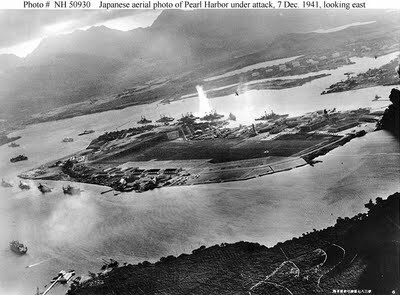 Tomorrow is the 71st commemoration of the Japanese attack on Pearl Harbor, which launched the United States into nearly four years of global war. The last confirmed surviving veteran of World War I, Mrs Florence Beatrice Green from Britain, died this past February. She was 110. One day we'll say the same of our World War II veterans. It is the nature of time. Accounts vary as to how many uniformed survivors remain today. The number is estimated at less than 8,000. It is important to remember this history, if for no other reason than to honor the service and sacrifice of those who gave a piece of themselves to the defense of their country and their fellow citizens. We must never take these events for granted. We must not relegate them to some past that has no relevance to our present. 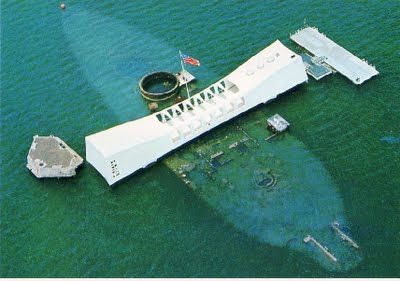 ...the 1,177 men who went down with USS Arizona. ...the additional 1,158 service personnel killed during the attack. ...the 68 civilians killed during the attack. ...the 1,178 military personnel and civilians wounded during the attack. ...rescue and medical personnel, and others manning small harbor craft, who braved oil slicks and searing heat to pull victims to safety and render first aid and comfort. 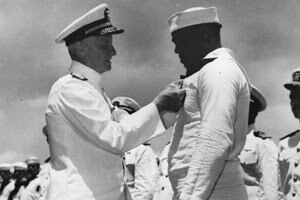 ...the numerous and varied acts of heroism above and beyond the call, such as Ship's Cook Third Class Dorie Miller USN, serving on USS West Virginia, who carried many of his wounded shipmates to safety and attempted to rescue his mortally wounded Captain. Then he manned a 50 caliber Browning anti-aircraft gun for which he had never been trained. He earned the Navy Cross for his actions. 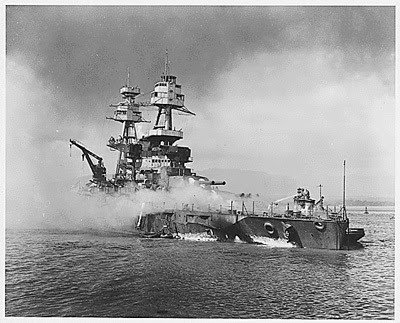 ...the crew of USS Nevada, who managed to get their battleship underway during the attack and tried to steam out of harm's way, ultimately running aground in order to avoid being sunk in the middle of the harbor. ...the pilots and service crews who were able to get a few P-40's and P-36's off the ground from Haleiwa airfield. These planes engaged enemy aircraft and shot down as many as 11, losing 4 of their own. ...Navy and civilian salvage crews, who worked for more than 20,000 hours on over 5,000 dives. Their efforts helped put 11 ships back into service from 1942 through 1944. 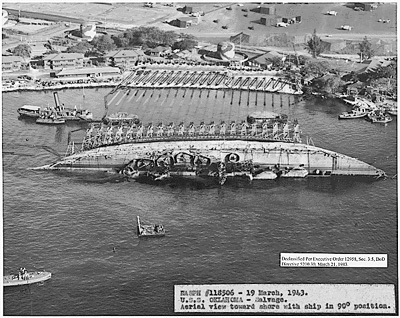 They were also able to re-float 4 sunken battleships, which were ultimately returned to service and saw action against Japan later in the war. 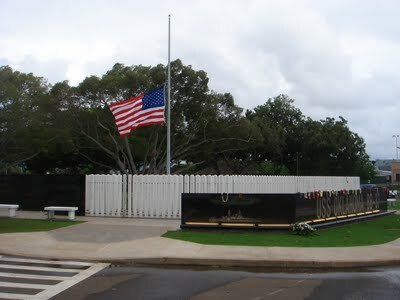 ...all veterans of the Pearl Harbor attack. To all who performed above and beyond the call in the early morning hours of 7 December 1941, and in the subsequent days leading to 15 August 1945 when Japan surrendered and World War II came to an end, I offer my deepest respect and gratitude. I wish those who remain peace in the twilight of their lives. They earned it. Well said. And it is the best we can do to strive to live a not insignificant life, in the sense of helping others. Never forget... Big hugs, Travis.